While we’re on the subject of skin and me getting mine back to healthy, I decided I’d talk about building a solid skincare regimen. Since I’ve started blogging/vlogging, I’ve been asked many questions about my skincare regimen. It gave me the idea to do a series of posts on one of my favorite subjects. I’m no skincare expert but I’ve done my studying over the years and I will be speaking from my own experiences on taking care of my skin. There are many tried and true ways to properly care for your skin and many products and recipes to help you do it. However, there are four essential steps that should be part of every skincare regimen no matter your skin type. If you enjoy wearing makeup, there is no way of getting around not having close to flawless skin because let’s face it, who wants bumpy makeup? I surely don’t and that’s why it is important to take extra care of your skin to prepare it for makeup application. Find a cleanser that your skin responds to positively. While some products have proved to be one size fits all, it’s best to find a product that states that it is specifically for your type of skin. One that isn’t drying but also does a great job of loosening debris and dissolving oil and makeup products. Wash your face once a day with the cleanser using warm water. Be sure the temperature of the water is not too hot or too cold which may cause broken capillaries which in turn, causes skin to look aged. Never use cleansers that contain alcohol and avoid bar soap as they both tend to dry out the skin. For those with oily skin, choose a clear cleanser that is oil-free and for dry skin, choose a cleanser that has a creamy consistency. 1a. Be careful of over-cleansing (cleansing more than once which is counterproductive as it causes rashes and breakouts. Those with oily skin tend to think that they should wash more than once a day but you must be careful not to do this. Overcleansing robs your skin of its natural oils which will signal to your body to produce more oil resulting in acne. Instead, wash with cleanser at night before bed and simply wipe your face with a soft cloth and warm water in the morning before applying moisturizer. This is my favorite part of my skincare regimen. Exfoliation is a step that should never be skipped. Exfoliating removes dead skin cells which have a dulling effect on your skin. If you’ve never exfoliated or you’re not consistent with it, you’ll instantly notice a difference in how your skin glows. Aim to exfoliate no more than 2 to 3 times a week. Many exfoliants claim to be gentle enough for everyday use but it’s simply not necessary. When looking for an exfoliant, decide what kind you’d like: peels, scrubs or microdermabrasion. Although there are many peels and microdermabrasion kits for at home use, it’s safest to visit a dermatologist for those types of processes and use a scrub at home. I also take more on how to choose the right exfoliators here. Moisturizers simply seal moisture into the skin and I recommend that when applying a moisturizer, you should do so while your skin is damp immediately after you have patted your face with your towel. No matter the skin type, everyone benefits from moisturizers. If you’re unsure about how often you should moisturize, take a cue from your skin; if your skin feels tight, it’s pleading for moisture. And just as it is possible to overcleanse, it is also possible to overmoisturize which causes clogged pores. The number one cause of wrinkles and aged-before-its-time skin is sun damage. It’s imperative to use sunscreen everyday–even on cloudy days. There are many moisturizers that come with at least SPF 15 so it’s easy to knock out two steps in one. However, moisturizers with UV protection are not not meant to be used 24/7 and may end up irritating the skin. One great trick is to purchase two moisturizers–one with UV protection and the other without and the one without UV protection can be used at night. I didn’t touch on toning in this post because I’ll talk about whether to tone or not to tone in a separate post. 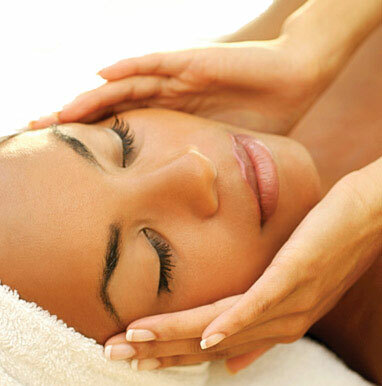 The key to a great daily skincare regimen and healthy looking skin is BALANCE. Your skin should feel dewy, firm and moisturized to the touch, it should not feel greasy, tight or dry. Also, keep in mind that getting to great skin is a journey which means that it takes time. Be consistent and drink lots of water to keep your body flushed of toxins.